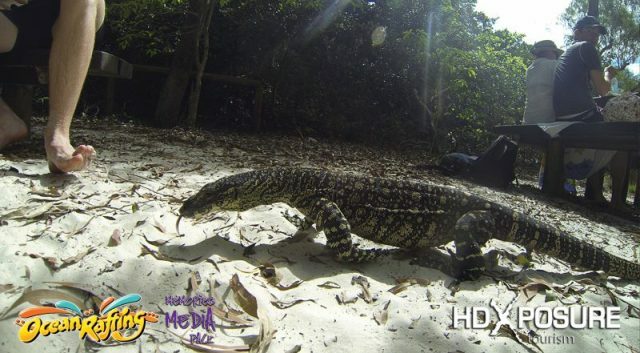 Beach, snorkel, bushwalk in a day! 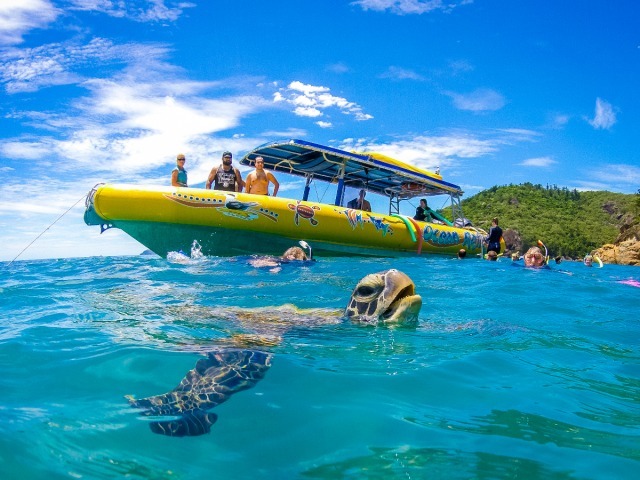 Ocean Rafting includes an exhilarating ride to Whitehaven Beach, pristine snorkelling reefs and guided Whitsunday Island National Parks walks. 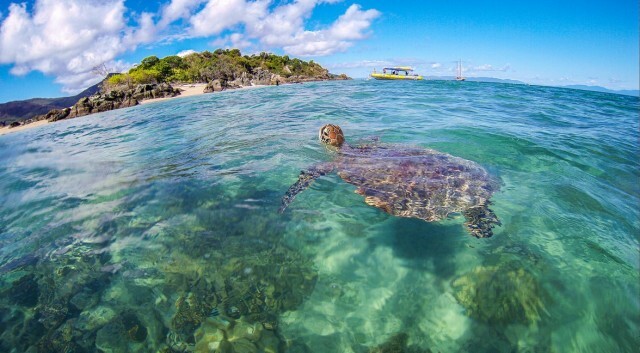 Ocean Rafting has very special permits which allow access to protected areas in the Great Barrier Reef Marine Park. 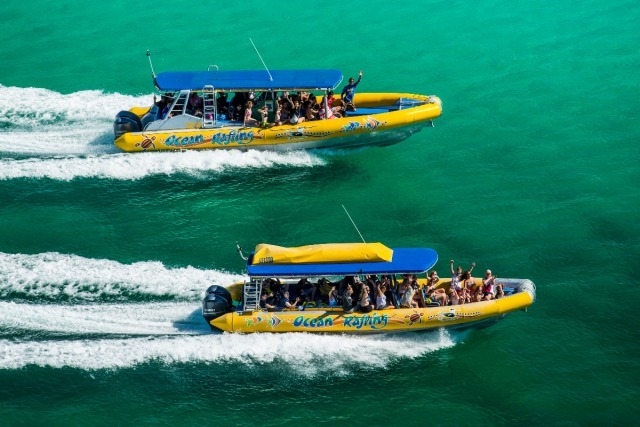 The semi rigid inflatable vessels are super fast allowing you to experience a fun ride, adventure and education amongst the natural beauty of the Whitsundays. 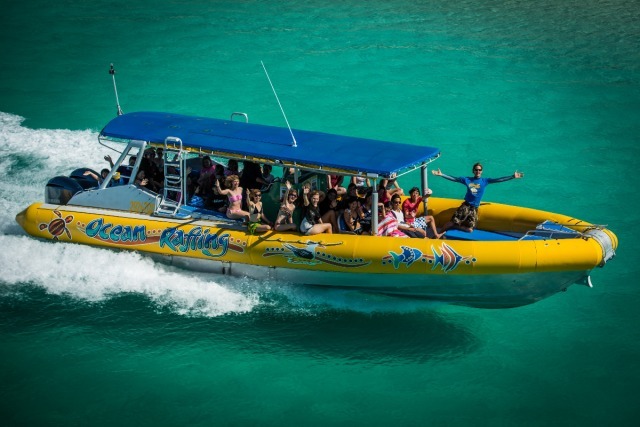 The vessels carry at the most 32 passengers allowing you to experience tropical paradise and the pleasure of a small group. 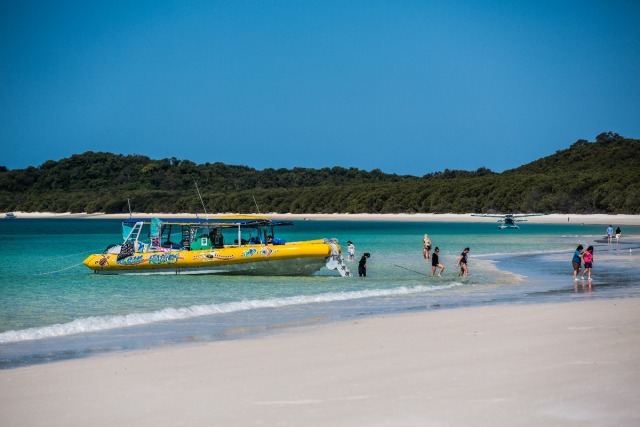 Your Skipper and Eco Host will ensure you have a fun filled adventure and personalised service, from the courtesy bus pick up in the morning to snorkel lessons and a guided National Park walk in the Whitsunday Islands. 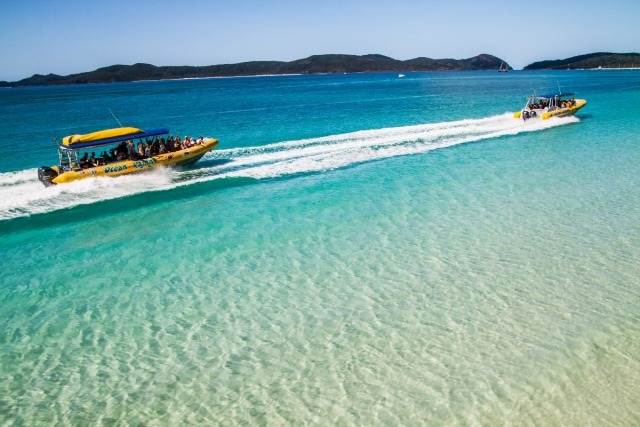 The Southern Lights tour visits both the northern and southern ends of Whitehaven Beach. 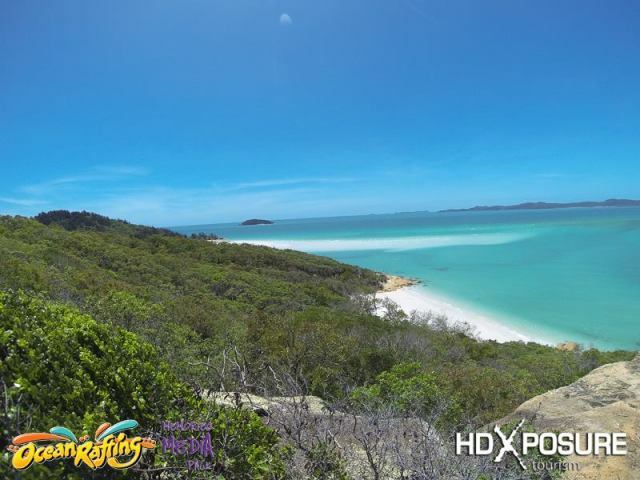 Enjoy at least two hours relaxing on the world famous white silica sand, a guided walk to Hill Inlet Lookout and experience the Southern Whitehaven Lookout, enjoying breathtaking views of Pentecost Island and the tropical waters of the Whitsundays. 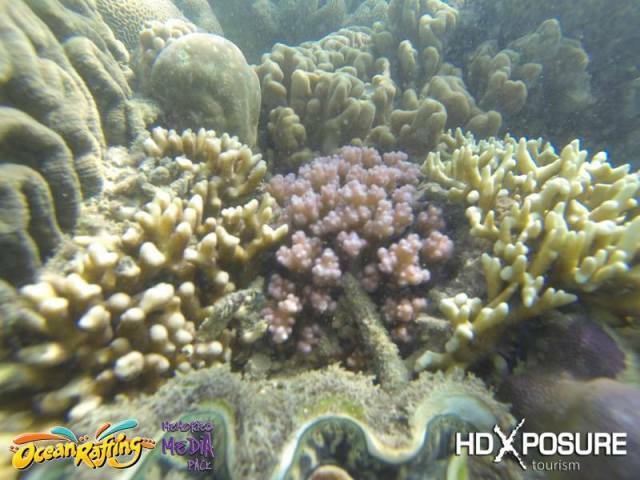 Snorkel for over an hour at Border Island, Dumbell Island or one of our “secret” snorkel spots, enjoying the amazing hard and soft corals of the fringing reefs. 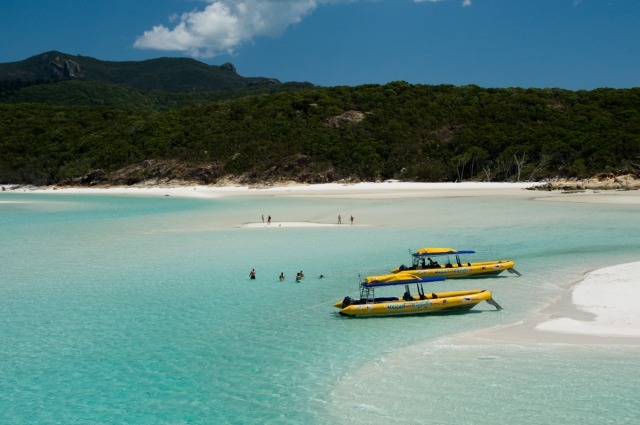 Ocean Rafting is one of the only tours to have direct access to Hill Inlet Beach at Whitehaven, Whitsunday Island. 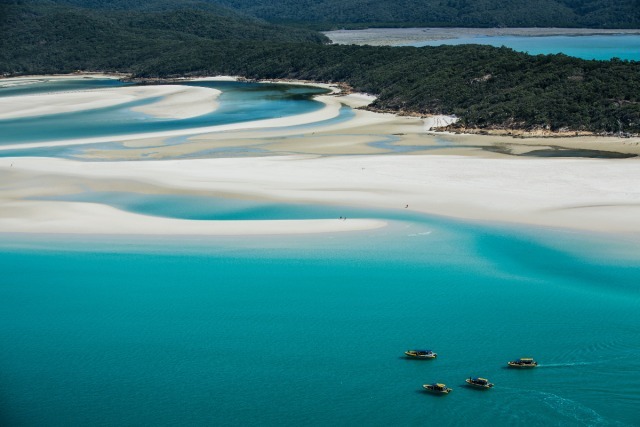 Join a guided walk to the stunning views at Hill Inlet Look Out, overlooking the silica sand of Whitehaven Beach, followed by a buffet style lunch at the beach (optional extra). Enjoy two different snorkel destinations usually around Hook Island including Mantaray Bay, Maureens Cove and other secret snorkel spots. *The main difference between the two tours is that the Northern Exposure has more snorkelling time and the Southern Lights offers more beach time. 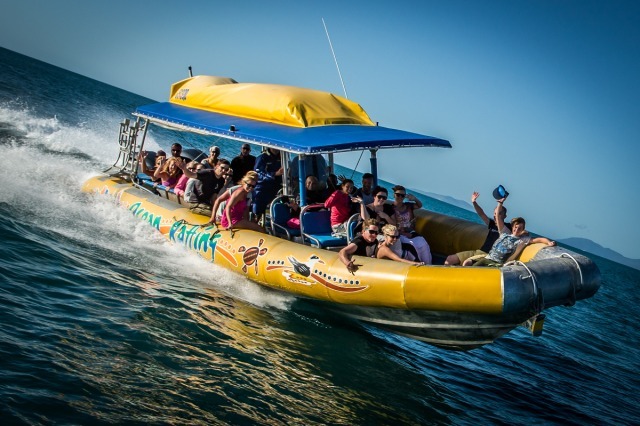 Daily Departures: from depart daily from Abell Point Marina North, Airlie Beach (next to Sorrento Restaurant & Bar) The Northern Exposure tour departs 8.45am and returns 3.30pm (check in 7.45am) and the Southern Lights tour departs 10.00am and returns 4.30pm (check in 9.00am). Student and Pensioner SPECIAL: Free wetsuit and stinger suit hire on presentation of cards. A beach bag including a towel, hat and sand shoes. A sweater or jacket in the winter months to protect you from the wind and keep you warm after snorkelling. Cameras should be in a waterproof case. Water, soft drinks, fruit juices and chocolates as well as underwater cameras are for sale on board but you are welcome to bring your own. If you have chosen not to have our buffet style lunch, please ensure that you bring your own as we do not visit any resorts during the day. A sense of humour is always welcome! Sites are weather & tidy permitting. Ocean Rafting reserves the right to charge our customers a fuel levy if fuel is over $1.50 per litre & the right to arrange alternative itinerary when necessary. Fitness & Health: Although good health and a positive attitude are essential, you do not need any prior experience to partake in any of the activities.